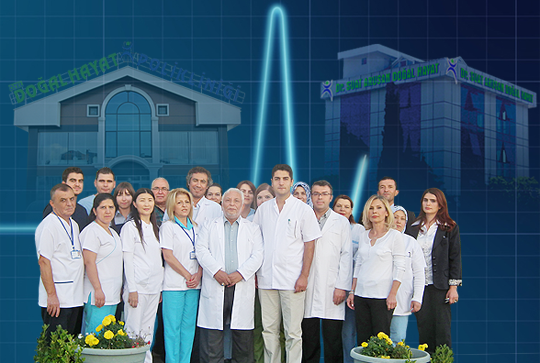 Thanks to our expert physicians and medical staff, as the Doğal Hayat healthcare team, we are serving in Ankara and Istanbul. As is known to all, chemical drugs was first started to be used for human health in the early 1990s. After a century following their use, the incredible increase in many chronic diseases such as diabetes, depression, rheumatic problems, asthma, hypertension, cardiovascular system and migraine problems, has led all health professionals to search for new ways. In this context, the healing power of nature has become a current issue again either with its herbs or with all natural treatment methods, As from Europe and America, the ancient treatment methods of mankind is blended with modern methods and has begun to be used again in the treatment of diseases. The fact that, only in Germany, 7 out of 10 patients prefer plants and natural methods in treatment process, shows the degree of acceleration regarding this issue all over the world. Since these methods are still not taught in the faculties of medicine in our country, it is widely known that the outstanding gap in this issue is being filled by herbalists and healers who do not have a medical mission. This is because we are a healthcare team each of whom is a physician graduated from the faculty of medicine, treating patients only with natural therapy methods especially with medicinal leech therapy, ozone therapy, herbal therapy, acupuncture, manual therapy, cupping, neural therapy and detox therapies in the treatment of varicosis, migraine, multiple sclerosis (MS), autoimmune diseases, liver diseases, rheumatic problems, eye diseases, hearing problems, spinal and cervical disk herniation, muscular diseases, and all chronic nervous system and immune system diseases. Hence, we believe that we are the first representative of a mission in Turkey. We wish, as the heirs of our civilization which has an important place in the field of natural medicine in history that the number of physicians applying natural therapies rapidly increases and reaches the level of contemporary countries, and we even wish that they become a model for those countries with their research and development activities.